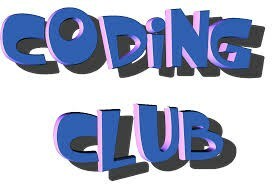 Coding Club is for students in 4th and 5th grade with an interest in computer programming. Students learn about the JAVA language and complete small projects using JAVA blocks. This club meets one Tuesday a month after school. Check back for more detailed information. one of two Wednesday afternoons to work together and create seasonal edible creations. Drama Club: Holy Trinity Drama Club is for students in 5th through 8th grade. All students who audition get a part in the cast or chorus. Students may also join set on stage crew. Productions are full length and include hand-sewn costumes, a full set and props, blocking and choreography, and musical direction. Rehearsals begin in January and are held after school on Tuesdays and Fridays (then every day the last two weeks before the show). Past productions include Beauty and theBeast, Peter Pan, and Hairy Tale Rock. After School Art will be held at the end of the school day on Wednesdays (K-1), Thursdays (2-3), and Fridays (4-5). Mrs. Joyce will be the instructor and will provide all the supplies. Projects will be an extension of what is done in art class, but at a slightly more advanced level. Since there are only 12 students per class, we will be able to explore mediums that are easier to work with in small groups. There will be a large emphasis on pottery and glazing techniques, as so many of the kids request to work with clay, and there is just never enough time at school! We will also explore batik (painting on fabric with hot wax), printmaking, and another fan-favorite “Sculpey” which is a colored polymer sculpting medium that can be baked in the oven. There will be a new project each week, and we will try to explore as many new things as we can! Hope you can join in on the fun! Eager Artists is for students in our Preschool. Classes meet weekly after school on Wednesdays for five weeks per session throughout the entire school year to complete exciting new art projects. Eager Engineers is for students in Grades 1 - 4. Students learn problem solving, math and science concepts while working with Legos, K'nex and CitiBlocs. 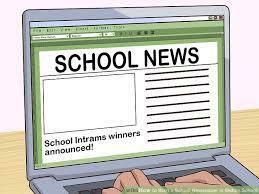 Classes meet on Tuesdays after school for five weeks per session throughout the entire school year. History Club is for students in 4th and 5th grade. This club meets once a month on Fridays after school to learn about historical events not covered in the graded course of study, develop a deeper understanding of our government and learn more about our great state of Ohio. Junior High Choir is for students in 6th through 8th grade. Students meet regularly during lunch and recess to learn vocal techniques and practice songs together. This group performs at our annual Spring Concert for students in Grades 3-5. Math club is for any 5th through 8th grade student who enjoys working out problems, talking about math, or learning about math. We will meet on designated Thursdays each month from 2:05 to 3:00 PM in Mrs. Wild’s classroom. This supplemental math class is for students in 8th grade and covers certain topics more in depth than either the state standards or diocesan curriculum covered in the classroom. This class is helpful to those students preparing to take additional math exams at their high schools in the spring to determine their placement as freshmen. 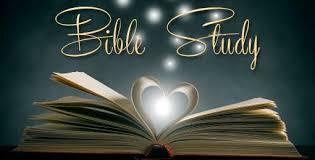 This class meets on select Thursdays after school. The Avon School of Music sends their instructors to Holy Trinity School to teach both group and individual lessons after school. Students are offered lessons in violin. Students perform before both our Grade K-2 Christmas Concert and our Grade 3-5 Spring Concert. 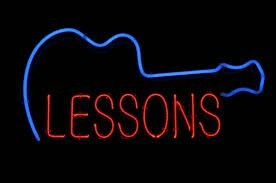 Small group music lessons will be offered to students in grades 4-8 during the school day. 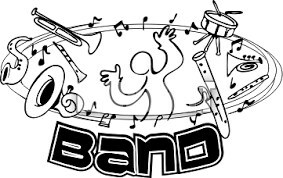 In addition, these small groups will meet before or after school as a large group (full band). Check back for more information. Peer Tutoring is provided by 8th grade students to students in grades 4-8 needing assistance in any subject. Power of the Pen is for students in 7th and 9th grade who have an interest in creative writing. Students meet after school or during lunch/recess on Mondays to practice writing stories in response to a creative prompt. Students compete in a district competition and can qualify for regional and statewide competitions. Holy Trinity fields a varsity and junior varsity team of 7th and 8th grade students to compete in the St. Ignatius Science Olympiad. Students typically choose to compete in two of the fifteen testing and building events that align with their interest. Prep sessions are twice per week after school in October and November and the competition is usually held on a Saturday in late November. Scrapbooking and More is for students in 5th through 8th grade. This club meets once a month on Tuesdays after school to either make a seasonal craft or complete individual scrapbooking pages. Holy Trinity School Ski Club is for students aged 8 to 18 and takes place on five Friday evenings in January and early February at Brandywine. Ski Club includes a once-a-week snow/lift ticket, rental equipment (if applicable), 5 one hour weekly lessons with a certified instructor, and free skiing/snowboarding for the remainder of the season on Fridays at no additional cost as well as four Value Passes for skiing at Alpine Valley, Boston Mills or Brandywine. Only students in 5th through 8th grade can also choose to ride the bus to and from the school for an additional fee. Others must provide their own transportation. Peers elect officers and representatives from each class in 4th through 8th grade to be members of our student council. These students meet regularly during lunch/recess to plan school activities that build our school community including Red Ribbon Week, Veterans' Day Ceremony, Catholic Schools week, Candy Gram Sales and the Junior High Dance. Invention League is for students in 4th and 5th grade. Students research and identify a specific problem to solve. They design and make their own invention and learn how to market it. They will participate in an Invention League in Fair in February and can qualify for state and local competitions. 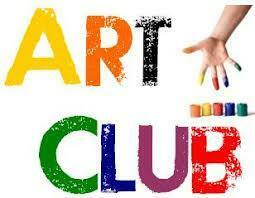 This club meets on most Wednesdays and Thursdays after school, December through February. Yoga Club is offered to students in Kindergarten through 5th grades. This club meets once per week for 5-week sessions. Taught by certified and registered yoga teacher (and HTS mom) Mrs. Erin Fox, students will gain strength, flexibility and balance. 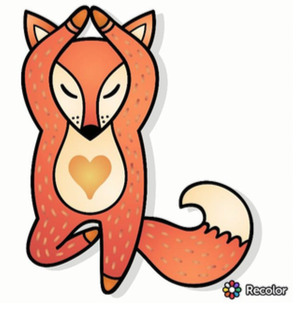 More importantly, yoga lets students have the time they deserve to slow down and mindfully connect to the world around the. During the 6 week sessions, students in Kindergarten through 2nd grades will be introduced to the Spanish language and activities related to the Spanish culture. We will cover winter, animals, and clothing related vocabulary. We will also learn other useful parts of the language and most importantly have fun learning through games, singing and dancing. Please visit our CYO Page for more information.